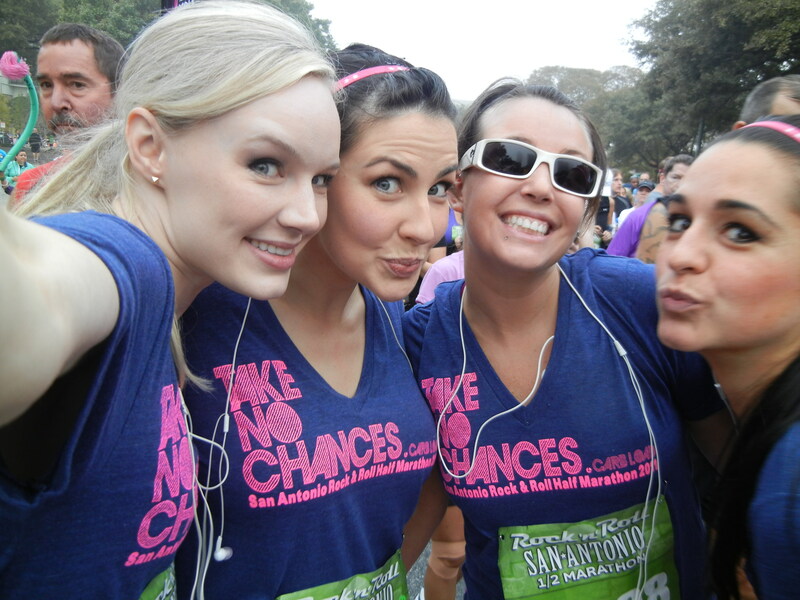 As you probably already know, last year three friends and I ran the San Antonio Rock and Roll Half Marathon. It was the first race I’ve ever run, and what I thought would probably be the last. Here we are one year later about to do it again. I find myself asking the same question: What are we thinking?? Have we seriously lost our marbles?? 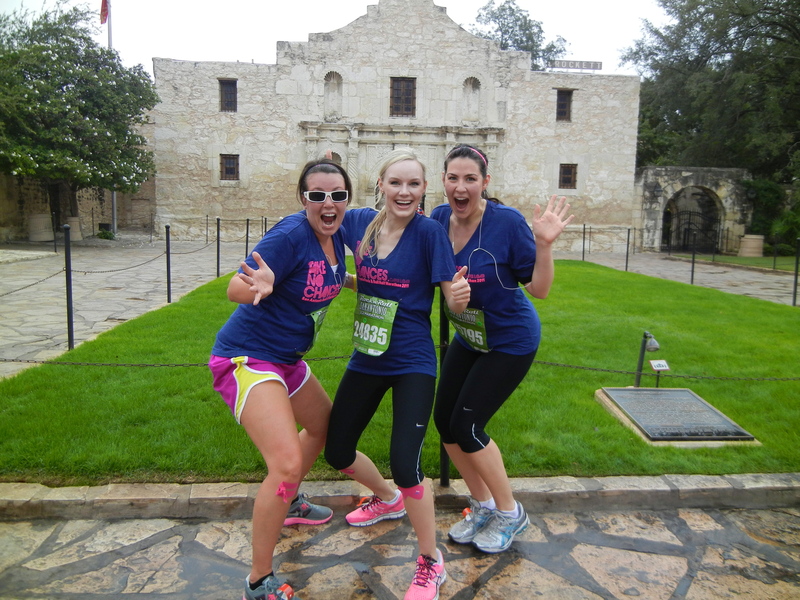 Our main reason for doing the race again is for the sheer fun of being together. The entire weekend is spent registering together, being nervous together, running together, struggling at mile 11 together, whining in pain the next day together, and laughing at our hilarious 400 photos together. We know how to make memories that last a lifetime. In case you’re not sure about the above number of photos being a typo- let me reassure you, that is correct. 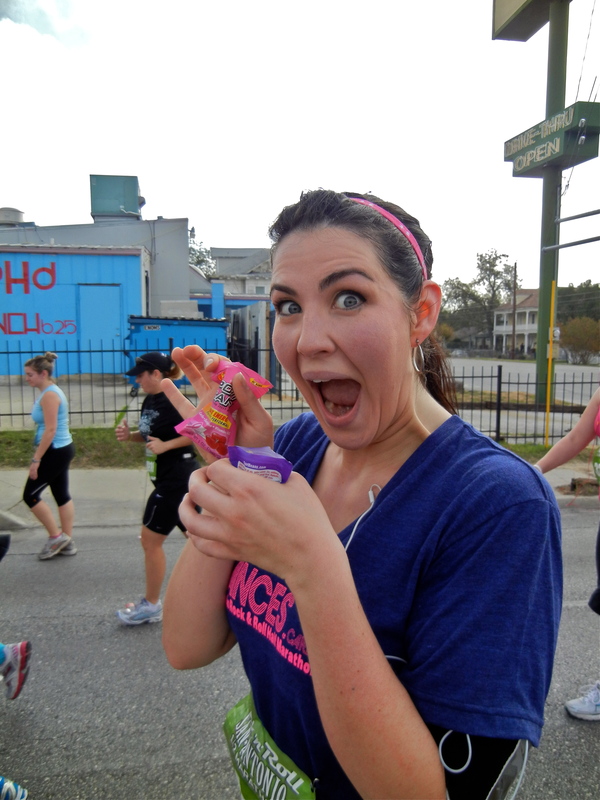 We managed to take 400 photos of a 13.1 mile race. Ladies and gentlemen, I think we may have set a record. Certainly not for the fastest land speed human or even a personal best for ourselves. No, no. We set a record for the LEAST amount of training and the MOST photos ever taken in race-ville history. 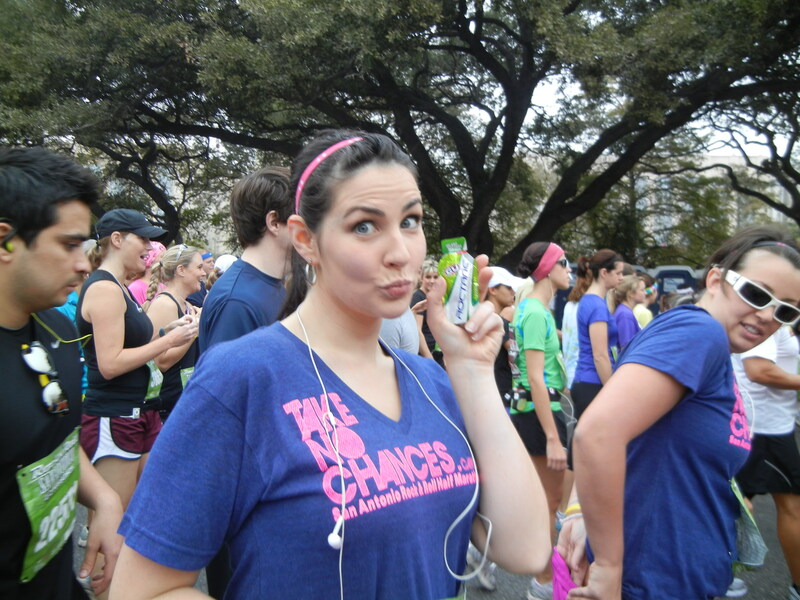 Remember in my post about last year’s race how we were obsessed with the GU they give you? This year I made CERTAIN not to let them get the best of me. 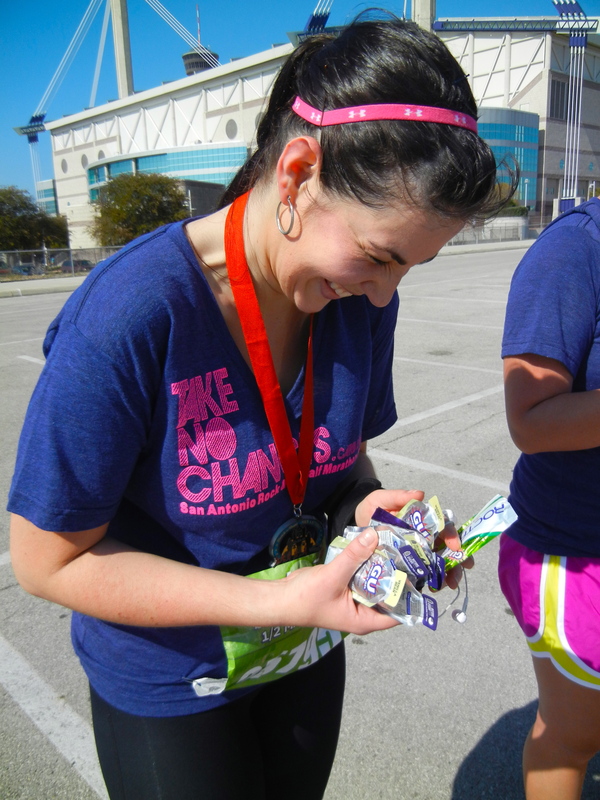 Not only did I bring along the 6 packets I managed to accumulate after last year’s race, but I somehow actually ended up leaving the race with WAY MORE GU than even I realized. Actually, it became my little game to find the unopened packages that some serious and fit runner had discarded along the way. Being the goober that I am and loving anything free as much as I do, I am a natural at finding unopened anything along my pathway. I also managed to come across two new packages of “sports beans” in the race. I proudly threw my body in front of a couple very angry runners to score these little gems. My little “fun” game turned into the only thing that could occupy my mind when the race started to get hard. My right calf cramped up so badly that I actually started yelling out loud in pain (which if I you know me, you know that’s not something I do). 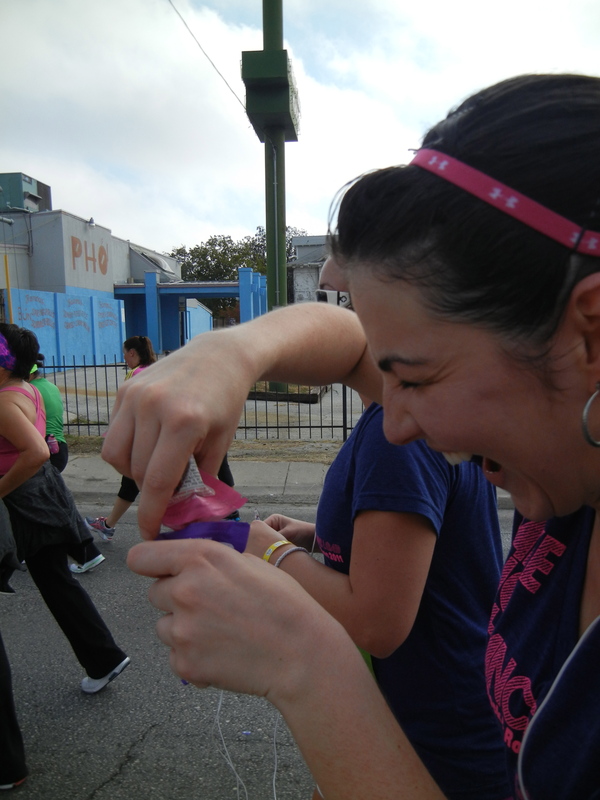 By the end of the torturous race, I managed to have 3 packages of beans come and go in my sports bra and 10 packages of GU in my pants (that’s AFTER I used 4 in the race). Yes, I found places ON MY BODY to stash my little treasures. When I finally unloaded, it was hilarious. Like a clown pulling out one of those never-ending multi-colored scarves- I just kept pulling out package after package after package (in addition to my bra beans). 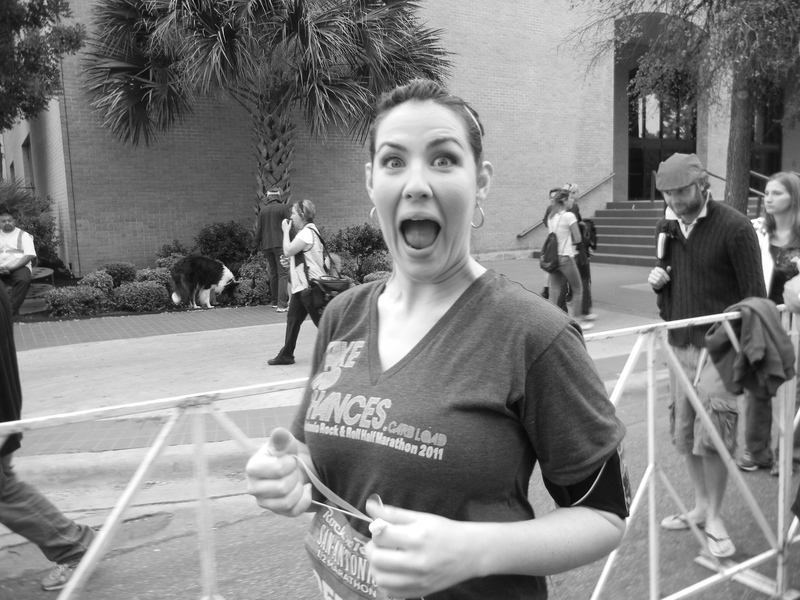 The cost of race registration + flights/drives to Austin/San Antonio + specially made race shirts + Cryoderm by the bucket + pre-race carbo/chocolate loading = somewhere around $400 per person. 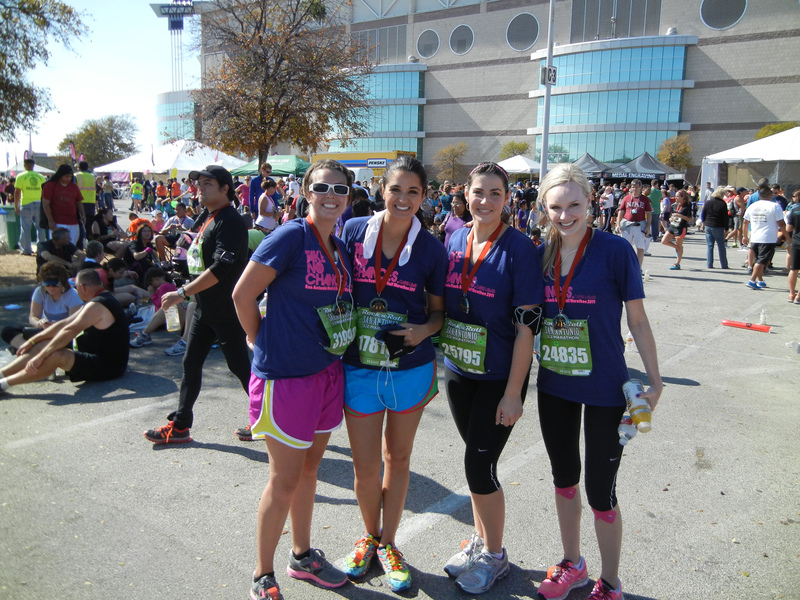 Having friends that are willing to torture themselves for 13.1 miles right along with you- PRICELESS. HAHAHAHAHAH sooooooooooooo good. every part of this was lovely. cant wait to plan the next one. and this is said on painful day 3 of recovery so you know i will really do it again. I could write an entire piece on JUST the medic stops alone! We do know how to do things “right.” Hahahaha! Poor Rachel.